Editor Christian Eedes selects his 20 most memorable wines of the year. While many producers are inclined to treat Sauvginon Blanc as no more than a cash cow, Klein Constantia’s Matt Day approaches the variety with both rigour and enthusiasm. The result is a number of striking examples, none more so than this. Read original review here. There are so many good examples of South African Chardonnay right now but this must be surely be one of the best – again one of the top performers in the Prescient Chardonnay Report. Read original review here. A Stellenbosch Cab should be built to last – not just fruit power but also tannic structure, balance and complexity. Look no further than this wine. Read original review here. The packaging won gold at the Rotolabel Wine Label Design Awards and the wine from a Paarl vineyard over 65 years old didn’t disappoint. Read original review here. A 1981 Swartland vineyard, two top growers (Danie and Hugo Carinus) and one talented winemaker (Lukas van Loggerenberg) made for this Chenin of particular depth and clarity. Read original review here. Ryan Mostert, the winemaker behind this wine, is a Rhône obsessive and his particular affinity for Syrah shows here. Read original review here. Attie Louw of Opstal has been at the forefront of uplifting the reputation of the Breedekloof. It was initially his Carl Everson Chenin Blanc that caught the eye but this Semillon is proving itself as good if not better. Read original review here. What does the quintessential Grenache Blanc taste like? I’m not entirely sure but this wine from Piekenierskloof is extremely deftly made – lovely fruit and acidity, nothing superfluous or distracting. Read original review here. Miles Mossop leaves Tokara at the very top of his game with his wines among the most highly rated in just about all our category reports this year. This Cape Bordeaux Red Blend demonstrates that it is possible to make a big wine without entirely sacrificing balance. Read original review here. Sauv-Sem blends are generally of very high quality yet remain a difficult sell by all accounts. Winemag.co.za believes in the category wholeheartedly, however, and this was one of the top performers in our annual tasting. Read original review here. From a 1950 vineyard, this wine never fails to capture the imagination. Read original review here. From a vineyard on Chris and Andrea Mullineux’s own Swartland property, the flavour intensity on this is amazing – my single-variety Syrah of the year. Read original review here. A blend of Cabernet Sauvignon, Cabernet Franc and Cinsaut, this is intended to recreate the best SA reds of yesteryear. It’s a most promising start. Read original review here. From a TV career in California to wine farming in remote Greyton. That’s the remarkable story of Samantha O’Keefe, who can now definitely be counted among SA’s leading producers. This maiden-vintage Reserve Chardonnay is power-packed but beautifully judged. Read original review here. Old-vine Franschhoek Semillon is a remarkable resource and this accomplished effort from the somewhat unheralded Jacques Wentzel demonstrates why, once again. Read original review here. Just crazy good. Not entirely incidentally, grapes are sourced from 1966 vineyard suggesting that efforts to preserve SA’s old vines as championed by the Old Vine Project are not entirely without purpose. Read original review here. Chris and Suzaan Alheit turn out a sensational collection of wines just about every year now and the La Colline Semillon from Franschhoek fruit is probably the pick of the bunch in 2016. Read original review here. Winemaker Bruwer Raats’s new mantra is “quality by design” – best practices in terms of establishing new vineyards is essential to ensuring a prosperous future for SA wine. This is only the second vintage of this wine off a block established in the 2000s and it shows a finesse which is rare for SA reds. Read original review here. Winemaker Sebastian Beaumont at this family-owned Bot River property seems to grow ever more assured – the Hope Marguerite 2016 from vineyards planted some 40 years ago is all killer, no filler. Read original review here. Since the maiden vintage 2000, Eben Sadie has been refining his vision regarding a wine which might be regarded among the world’s greatest but equally remain truly of the Swartland – this is his finest effort to date. Read original review here. Average price for the top three wines +- R900/bottle. Goes to show that many top prices are justified. A straight average is highly misleading in this case. Sadie at R800 and Beaumont at R275, so 2/3 of the top 3 are below the R900 you quote. Hi James, what do you mean when you state “a straight” average? What averages are there otherwise? What does “highly” misleading entail? Misleading is misleading nothing else? Misleading in itself is not telling the truth – thus a lie. Now how on earth is the average of the range specified a lie? Maybe talking about the deviation of the range specified from the average would have been more appropriate. However, I agree with Kevin, many top wines prices are indeed justified. Missing the point James. I was not saying that many higher priced wines prices aren’t justified, just that I didn’t think Kevin chose the best metric to make his case. He probably didn’t intend a casual statement to get this much attention but here we are. There’s a “straight” or simple average and a weighted average that I’m aware of. I’m afraid you can’t just divide the aggregate prices of the top 3 wines by 3 and state that higher prices are justified. If you do that the Raats wine in 3rd position contributes far more to the average than the other two wines and gives a misleading view of each of the top 3 wines’ prices. They don’t all cost roughly R888. There’s a huge range around that average. Two of them cost less than that; in one case far less than that. Misleading means creating the wrong impression. So yes, misleading is the correct term. If you had weighted the pricing by rank then you’d have an average of R754 per wine i.e. the Sadie and the Beaumont would (correctly) bring the overall average cost of the 3 wines down. 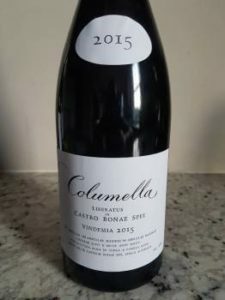 Tiny sample size (and Sadie’s admirably restrained pricing) aside, Columella coming top of the list at R795 could equally support an argument that no other wines should be priced above that point. Or put another way, if you look at the weighted average you’d have to conclude that the Raats in 3rd position is hugely (and unjustifiably) over-priced relative to the Sadie and the Beaumont (and the Beaumont correspondingly under-priced), with the Sadie priced just about correctly. In truth you could come to the same conclusion using the simple average. Also, what about the rest of the Top 20? I haven’t looked at the prices but apart from the Leeu Passant and Mullineux single vineyard Syrah I don’t think many of them are even approaching the R500/bottle mark (let’s ignore the white/red pricing differences). What if Kevin had said “Three of the top 20 wines +- R900/bottle. Goes to show that many top prices are justified.” Would you still support that statement? Are you really arguing that 3 or 4 “expensive” wines placing in the Top 20 justifies higher prices? You could argue the exact opposite based on this list. In fact I’d argue that the relatively low pricing of the other wines justifies their producers increasing their prices in future as their quality is punching well above their current pricing level, relative to the more expensive wines on the list. Of course we don’t have all the production and sales data so this is relatively simplistic and horribly pedantic.